When they need human resource consulting services, New Hampshire business owners can turn to the experts at HR Knowledge. Our organization has been providing small to medium sized businesses outstanding HR consulting services in New Hampshire for years, and we are always happy to help. Our team of HR consultants are experts at what they do, and boast over 100 years of combined experience. We serve a range of clients including small to medium sized businesses, private and charter schools, non-profits, and high tech companies. If you are searching for HR consultants in New Hampshire to help take the burden of HR responsibilities off of your shoulders, look no further than HR Knowledge. 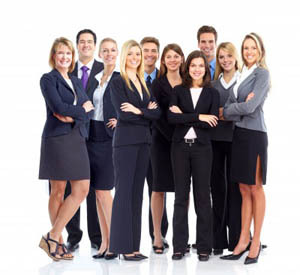 When it comes to our human resource consulting services, New Hampshire organization leaders can trust that we cover every aspect of the human resource department. We provide HR consultants New Hampshire businesses and organizations can trust and rely on for everything from employer organization, to strategic planning. Our HR consulting services in New Hampshire can affordably help your organization to improve all HR functionalities while fortifying your overall operations. We understand that HR is an expensive department to maintain, which is why all of our consulting services are affordable and worthwhile. Those who run small to medium sized operations understand that wearing different hats is just part of the job description. Unfortunately, HR responsibilities are more than a full time job, which means that they take away from the core responsibilities of growing a business. Luckily for those who face these challenges, our HR Knowledge HR consultants in New Hampshire can help relieve and organize HR functions within any organization. Our human resource consulting services in New Hampshire are perfect for all businesses and organizations in need of internal HR help. When they are ready to shift HR responsibilities away from them, HR Knowledge offers HR consulting services New Hampshire business owners can rely on. For reliable HR consultants New Hampshire business owners should turn to HR Knowledge. Our suite of HR services and solutions are designed to help business leaders get back to their core responsibilities. Contact us online today to learn more, or give us a call at (508) 339-1300. We are happy to assist you with any questions you might have, and to provide a quote for our human resource consulting services. New Hampshire business owners can trust that HR Knowledge can help them secure their operations through our comprehensive, affordable consulting services.